Fast, fickle and simply interested in pecking at food, chickens don’t care about declarations of “bad chicken.” They also flap away from controlling hands. Practically speaking, chickens only respond to carrots (or, rather, chicken feed), not sticks. Bob and Marian Bailey first had the idea of using chickens as teaching tools and worked with Ryan to organize camps. Marian passed way in 2006, but the couple — as well as Marian’s first husband Keller Breland — are still seen as royalty in the modern world of animal training for their development of positive reinforcement methods. Their company, Animal Behavior Enterprises (ABE), trained over 140 species. At its height, ABE mass trained 1,000 animals at a time for General Mills, Purina Dog Food and animal parks around the country. 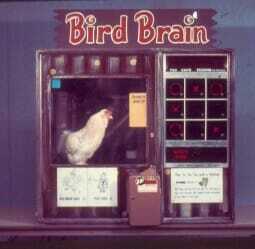 A birdbrain unit manufactured by Marian Bailey and her late husband, Keller Breland. The box is now on display at the Smithsonian Institute. Photo courtesy of Sophia Yin. With a dog, you can take a few seconds noticing a behavior, marking it with a click and offering a treat. Man’s best friend is rather forgiving. With a chicken, the sequence needs to happen more or less instantly. 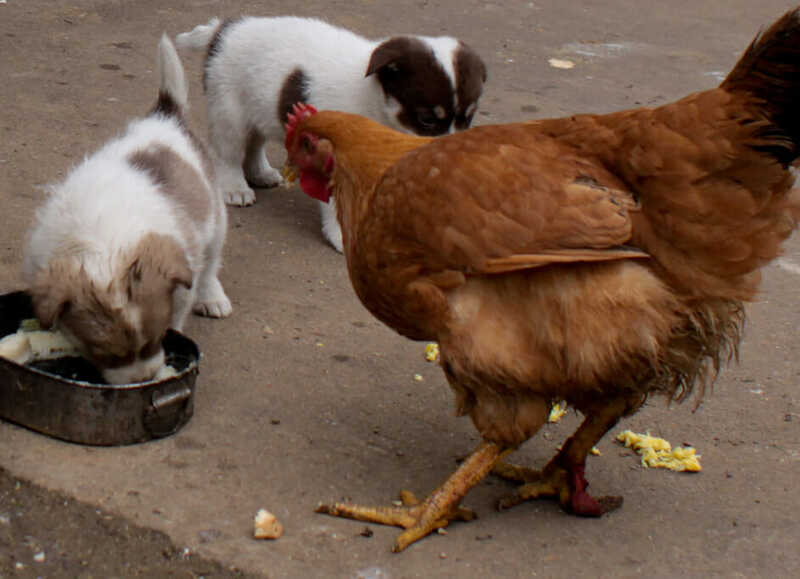 When animal behaviorist Dr. Sophia Yin attended one of the Baileys’ first chicken training camps, she learned to tape a clicker to a measuring cup full of feed. She then practiced clicking, then offering the chicken a quick peck. One click dropped seed, and the chicken would go scurrying off the training table and onto the floor. The end results are amazing, if not incredibly practical. Clicker-trained chickens can complete obstacle courses, discriminate between colors and shapes, remember routes through obstacle courses and even play simple tunes on a children’s xylophone. But it’s the dogs who benefit in the end. They now have a trainer who can feed them treats with the speed and precision of a chicken.